Since DJ Premier and Royce da 5'9" just announced a new project called PRrhyme, and it's being promoted as "the first time that DJ Premier has been part of a group since being ½ of the legendary Gang Starr," now seems as good a time as any to post Kolexxxion, a collaborative studio album by DJ Premier and Bumpy Knuckles a.k.a. Freddie Foxxx, which came out almost exactly 30 months ago, on March 27, 2012. While the above quote still holds true, as Premo and Bump weren't technically 'a group,' at least not in the sense of having a group name, we shouldn't forget about this prior collaboration, which, as you can tell from the photo, dates back quite a long time. 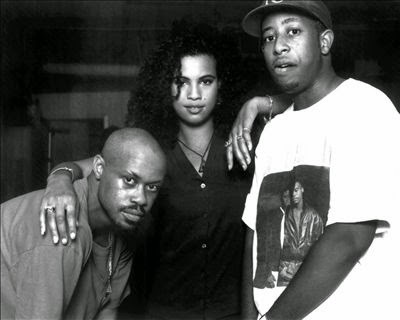 After all, Freddie Foxxx was a part of the Gang Starr Foundation and is perhaps best known to some for his show-stopping verse on "The Milita," a personal favorite. Anyway, enjoy this full album stream courtesy of Diamond Media 360, and remember, "even mechanics walk around with they tools."